I love December. As the year draws to a close, it’s great to reflect on the past as well as the future. I recently sat with Ori Bauer to do exactly that. 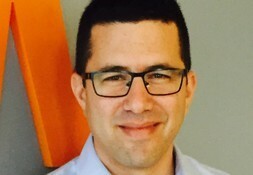 With over two decades in high-tech, Ori is director of development for XIV Storage and the IBM Systems development center in Israel. Joining IBM with the acquisition of Storwize (where he was VP of engineering), Ori began his present position 2.5 years ago. 2015 was an intensive year for Ori and his team, and Ori was kind enough to sit with me and share his year-end thoughts. Q: Looking back at 2015, what were your team’s two biggest accomplishments? A: The past year was chock-full of accomplishments. In Q1, we announced Spectrum Accelerate, a software defined storage (SDS) offering based on the IBM XIV software stack. This SDS product provides customers with agility – a new XIV grid can be deployed within minutes – and flexibility – customers can use standard x86 servers to scale clouds as needed. Second, around mid-year, we announced version 11.6 of XIV Gen 3, in which we introduced Real-time Compression (RtC) into XIV. With this announcement, we became the first enterprise disk storage array to integrate compression, allowing companies to deal with the number one problem related to storage: data growth. And we recently announced a new version – dubbed Turbo Compression – giving the same 5:1 compression without any performance impact. Q: Where do you see storage going based on what customers are saying? A: Customers tell us they have two primary storage challenges: capacity growth and the ability to manage rapidly expanding capacity. All this, while keeping the FTE count and budget flat. So we naturally work a lot with customers on data reduction and increasing storage efficiencies. As part of this effort, we continue to improve storage management – where we’re already a market leader. In parallel, SDS has gone from a buzzword to reality. Lots of customers, including large ones, are deploying SDS, looking for agility and flexibility. The market now recognizes that SDS is complementary to appliances, such as XIV. It’s all about assembling the right combination of SDS and appliance components to solve a customer’s business challenges. And in our case, customers combine the XIV appliance with Spectrum Accelerate to fit their workloads and deployment choices; this winning combination allows them to manage, move, and mirror all of their data from one pane of glass. Q: How does public cloud affect you? A: Some enterprise customers are cautiously making the journey to public cloud, and we’re at their side in this journey. For example, XIV customers are using Spectrum Accelerate on SoftLayer as a disaster recovery solution (DR) for their on-premises XIVs. So, that’s an enterprise DR solution that’s up in a few clicks. Other customers are, for example, storing mission critical data, using clusters of Spectrum Accelerate deployed at SoftLayer data centers. What’s really great is that these customers are getting consistent high performance for their heterogeneous workloads – especially in virtualized environments – whether they deploy with XIV or Spectrum Accelerate.…and, as I said, all data can be monitored and managed from one pane of glass. By the way, MSPs and CSPs need storage infrastructure too. We naturally sell well into this market because XIV’s tune-free, grid architecture is so ideal for cloud. Q: What about your development philosophy, and how do you stay ahead of the curve? A: This has been a very busy year, and we’ve taken huge strides in many areas – some of whose fruits are yet to be revealed. To meet our missions, we’ve moved to Agile Development. We’ve changed our processes to be more dynamic so that we can react quicker to changes in the market and create more value for customers. In addition, we were one of the first to embrace IBM Design Thinking, which places the customer in the center of every decision and move. As part of this effort, we work with design partner customers that provide us with feedback in real-time, leading to a radical improvement of our offerings. Q: What can we look forward to in 2016 from you and your team? A: I wish I could tell you more…but in general, look out for more activities around the two high-growth areas where IBM is a market leader: SDS and Flash. Flash has moved beyond the tipping point, and we’re innovating tremendously on this front. A: I’d like to close by wishing happy holidays to our loyal customers and, of course, to our dedicated development team and staff. May 2016 be a year of prosperity, health, and success.